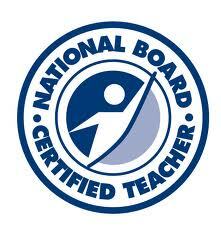 Created by teachers, for teachers, the National Board Standards represent a consensus among educators about what accomplished teachers should know and be able to do. Board certification is available in 25 certificate areas spanning 16 disciplines from Pre-K through 12th grade. The certification process requires that teachers demonstrate standards-based evidence of the positive effect they have on student learning in alignment with the Five Core Propositions. They must exhibit a deep understanding of their students, content knowledge, use of data and assessments and teaching practice. They must also show that they participate in learning communities and provide evidence of ongoing reflection and continuous learning. Lake Havasu Unified School District is proud to recognize our teachers that have achieved National Board Certification.